Are you looking for a luxury SUV that won’t break the bank? 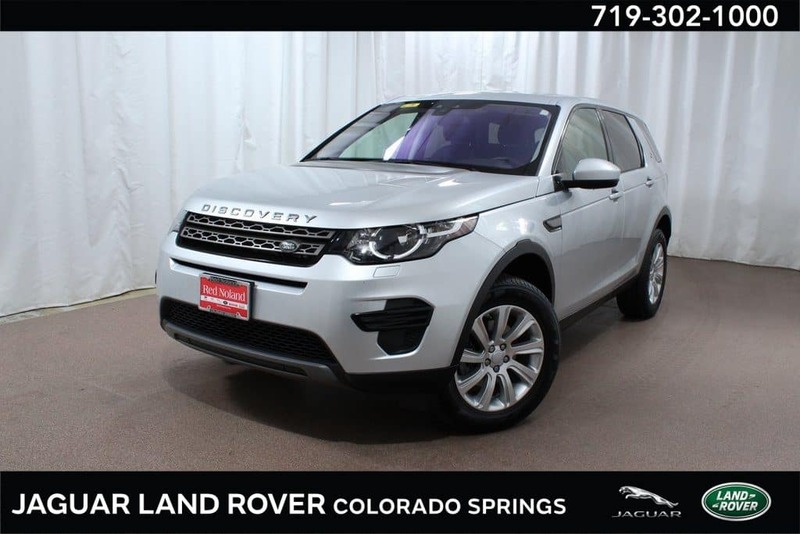 At Land Rover Colorado Springs we currently have this gently used 2018 Land Rover Discovery Sport in our inventory! Priced at less than $37,000, this pre-owned SUV has less than 3,000 miles on it and was a service loaner from our fleet. Equipped with a 2.0L turbocharged engine, you can expect an estimated 21 MPG city/25 MPG highway fuel economy! Some other features you can look forward to enjoying in this SUV include Cold Climate Package, 3rd row package, reverse traffic detection, steering wheel mounted audio controls, rearview camera and rear parking sensors, and rain sensing speed-sensing windshield wipers. To top it all off, you can have peace of mind of a 3 month/3,000-mile limited comprehensive warranty on this SUV. Stop into Land Rover Colorado Springs today to take a look at this 2018 Land Rover Discovery Sport and even take a test drive!